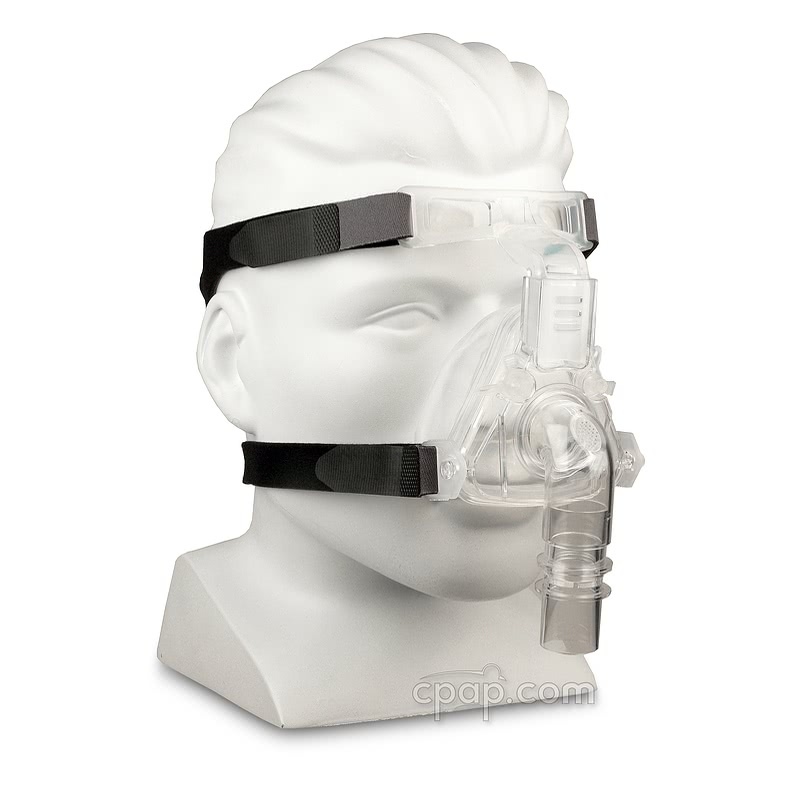 The Sylent Nasal CPAP Mask provides support and comfort while reducing noise. 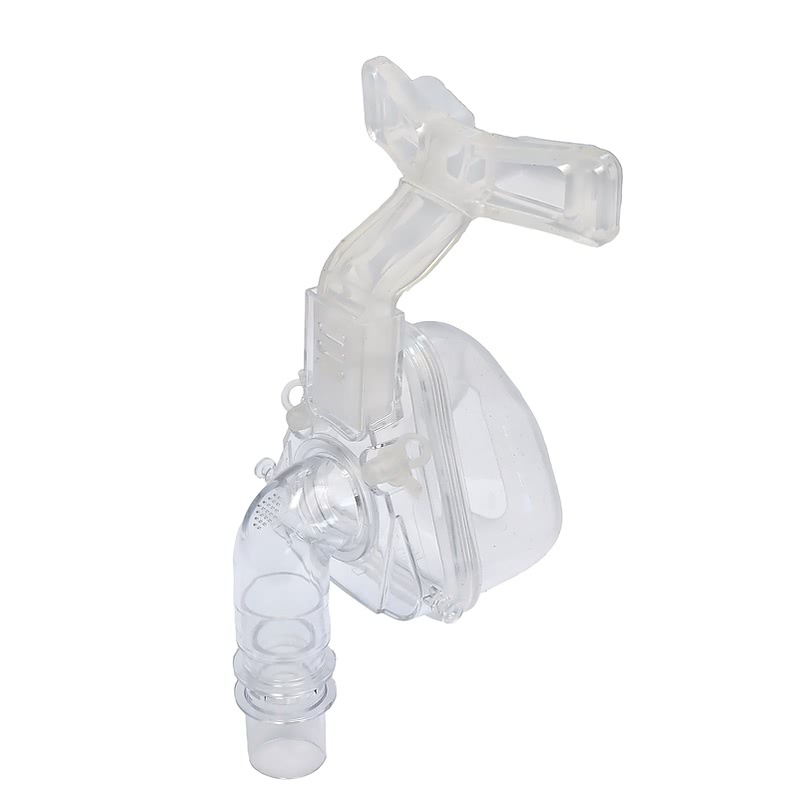 The cushion inflates to create a strong seal, thereby reducing the possibility of air leakage and eliminating the need to tighten headgear. 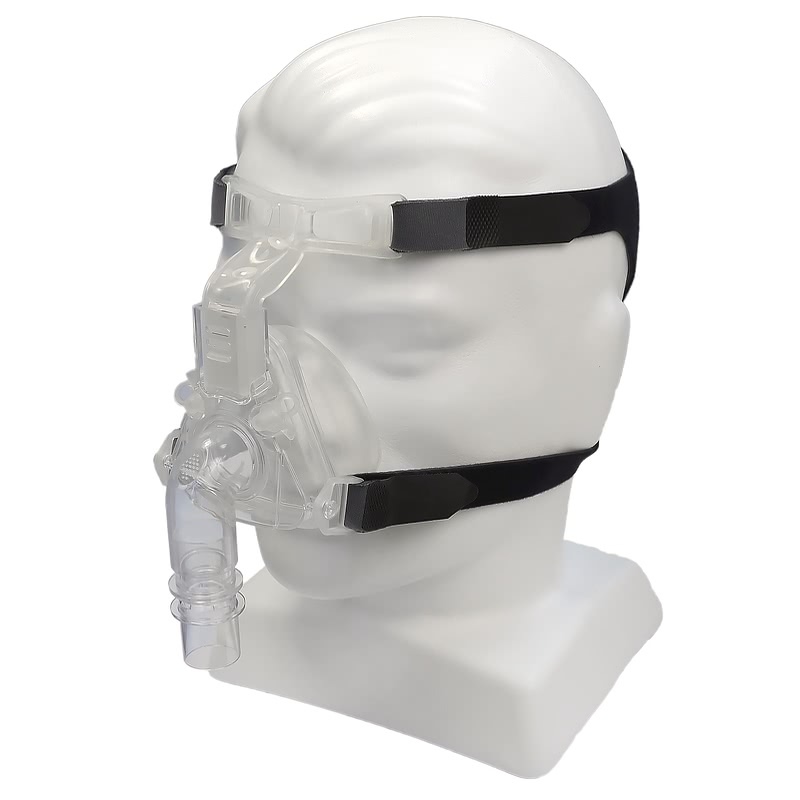 In addition, the self-adjusting flexible forehead support offers three heights as well as a wide range of angle positions. Flexible forehead support. 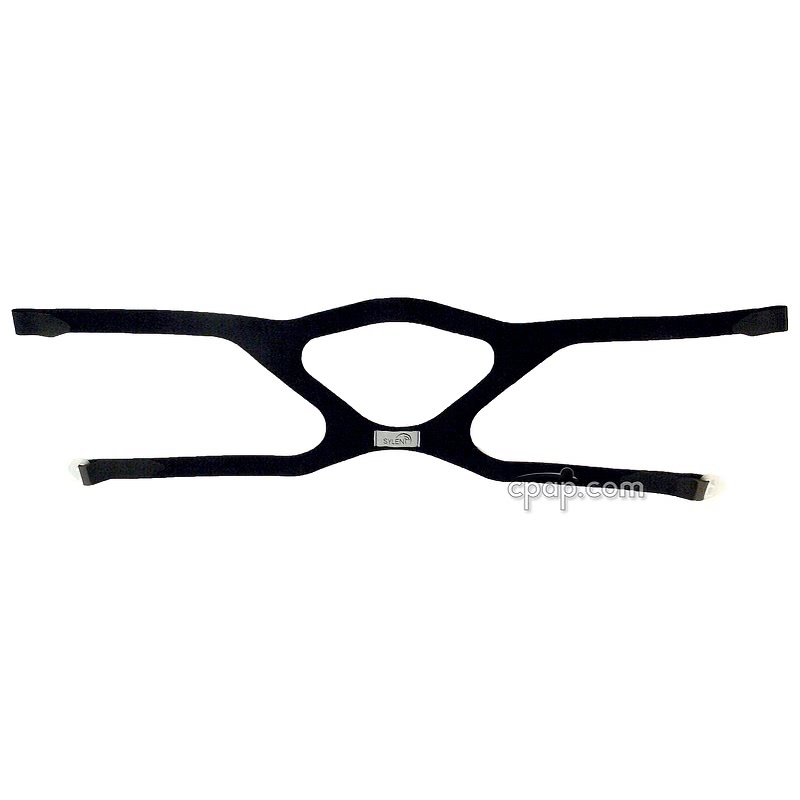 Conforms to a wide range of angles in order to maintain comfort. It can also be vertically adjusted to three different heights. Multiple cushion sizes. The cushions also inflate, which provide for a better seal and increased comfort. If you are uncertain on which cushion to order, please consider the Fit Pack, which includes both small and medium sizes. 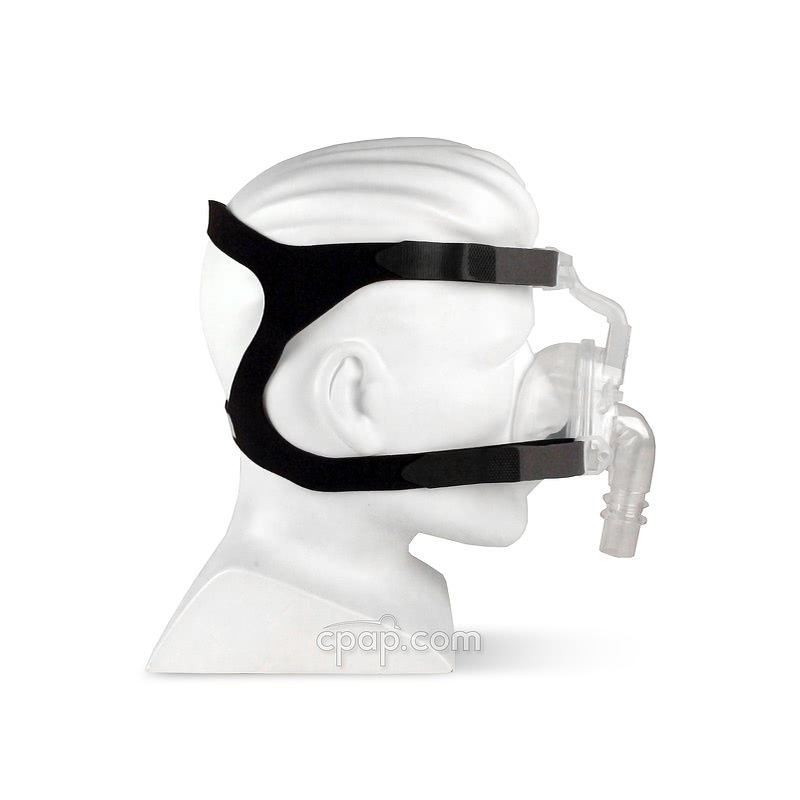 Exhalation Port. 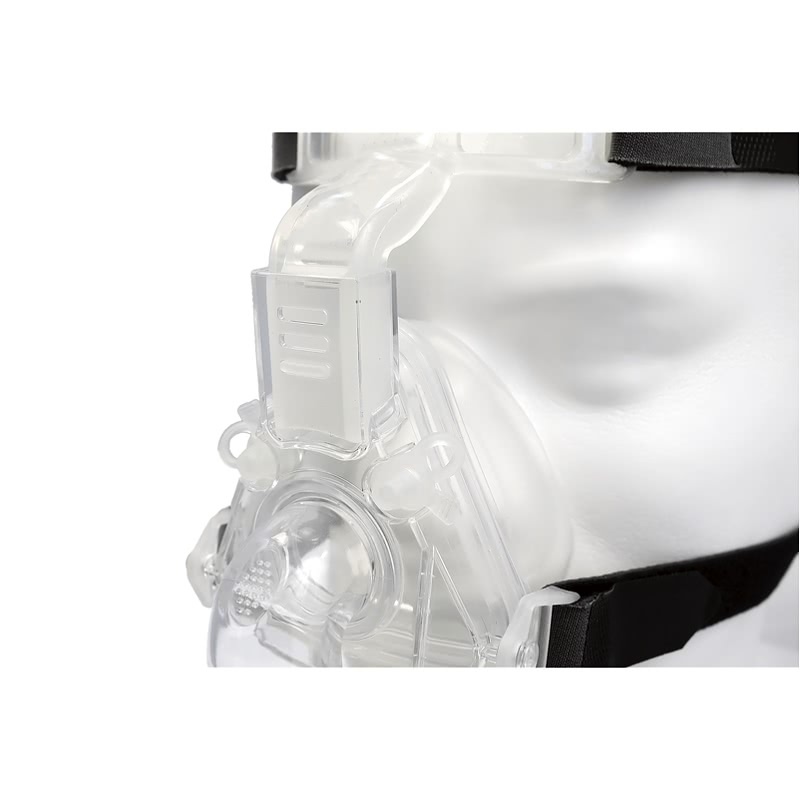 Constructed with a focus on providing a silent experience, the exhalation port was made with the idea of producing minimal noise by utilizing small port sizes. 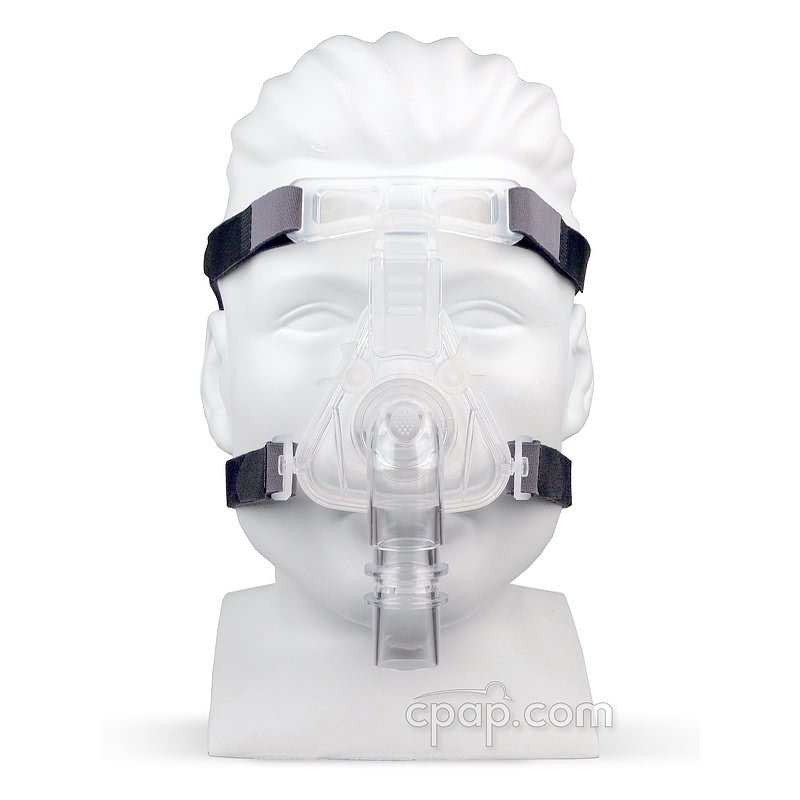 This provides a reduction to the overall noise and potential disturbances while sleeping. Sylent Headgear. 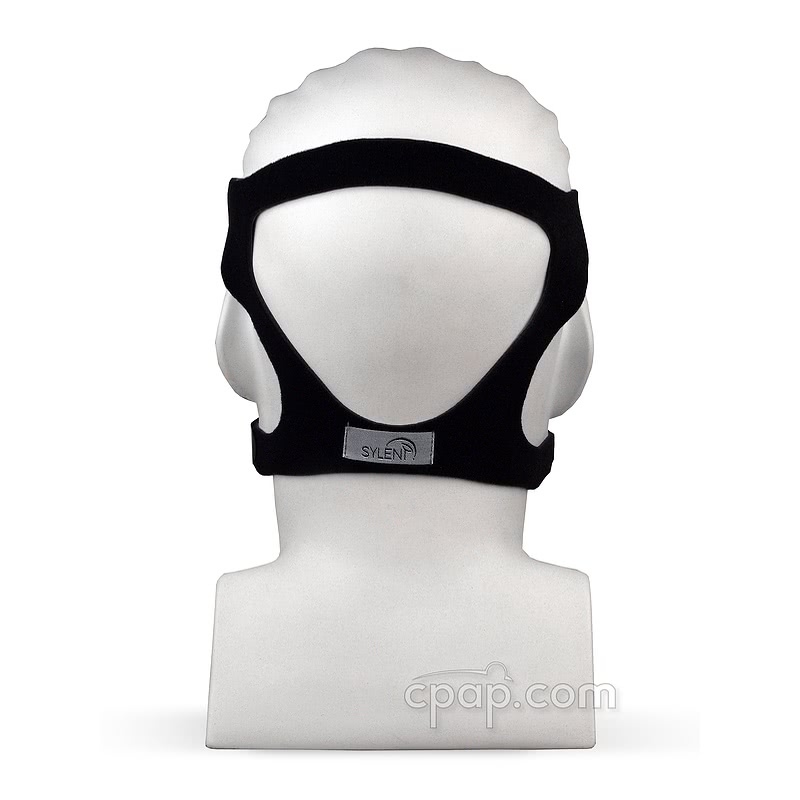 The headgear comes in black and adds comfort plus flexibility for a relaxed fit. 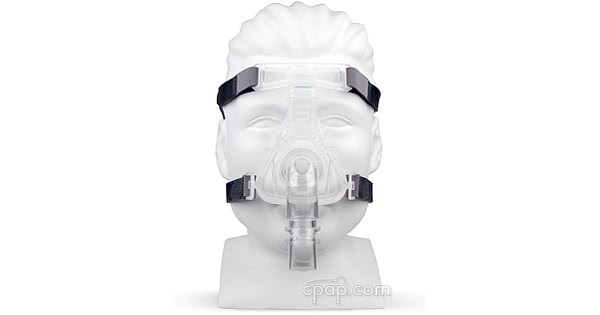 The mask is constructed from Breathe-O-Prene, a breathable open-cell polyurethane material that is latex free, wicks moisture and keeps skin cool as well as comfortable. 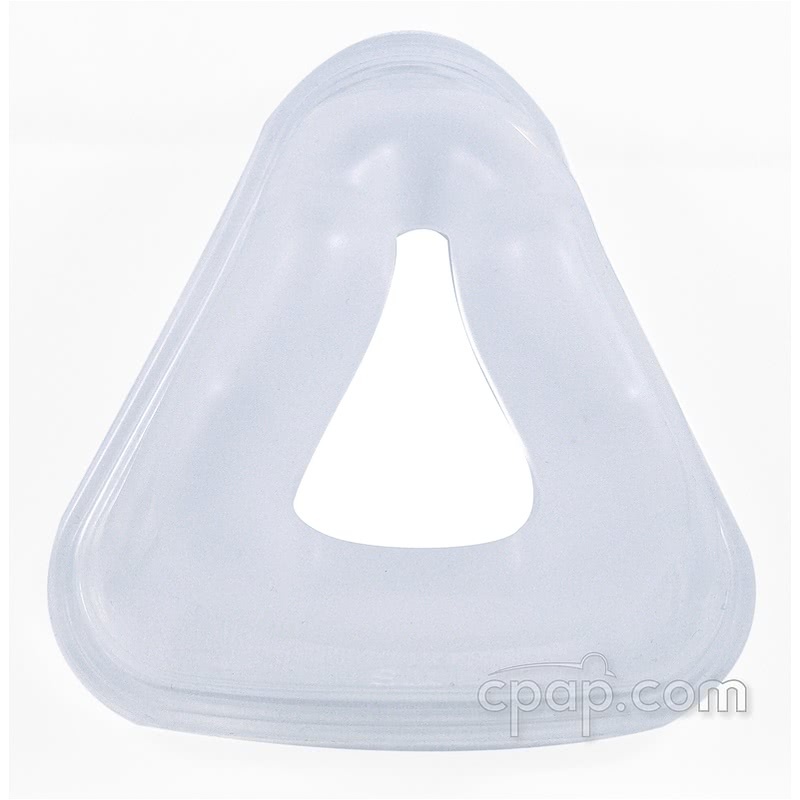 To find the size of the Sylent Nasal CPAP cushion, turn the mask to locate the flat bottom of the silicone nasal cushion. Two embossed letters on the bottom of the cushion will indicate the size of the nasal cushion. 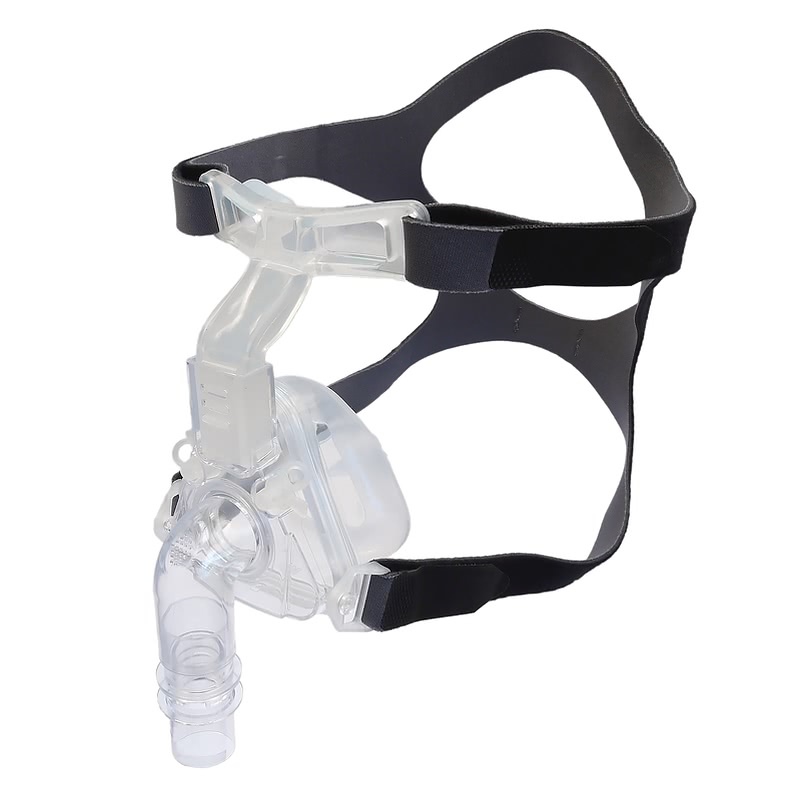 The mask frame will not have an identifiable size because it is universal for both the small and medium Sylent Nasal CPAP cushions.